胡敏章, 郝洪涛, 宋浩, 等. 弱地震活动背景地区流动重力变化探析[J]. 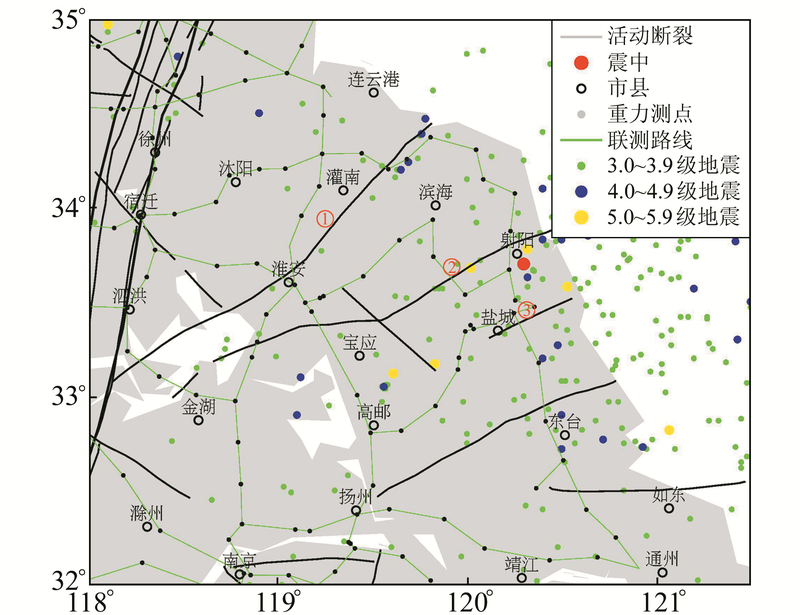 大地测量与地球动力学, 2019, 39(4): 339-343. HU Minzhang, HAO Hongtao, SONG Hao, et al. Analysis of Gravity Changes in Areas of Weak Seismic Activity Background[J]. Journal of Geodesy and Geodynamics, 2019, 39(4): 339-343. HU Minzhang, PhD, associate researcher, majors in earthquake gravity change, E-mail: huminzhang@126.com. About the first author: HU Minzhang, PhD, associate researcher, majors in earthquake gravity change, E-mail: huminzhang@126.com. 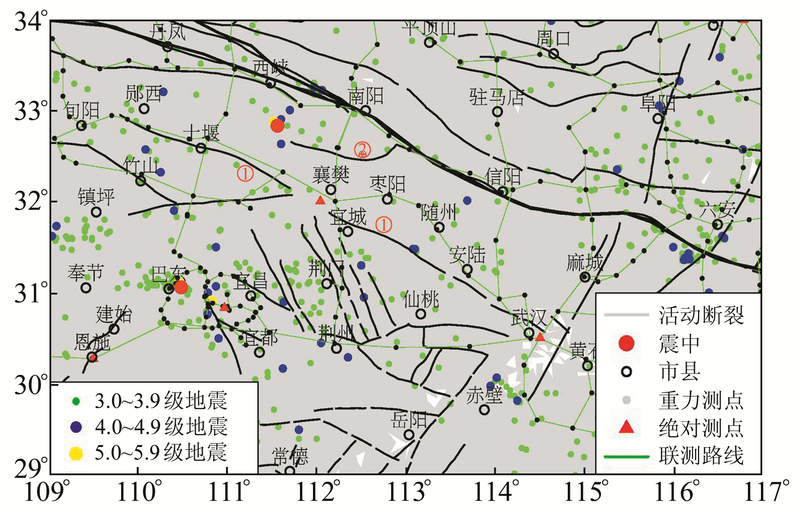 Abstract: Based on the high accuracy observation data from the mobile gravimetry network, the gravity changes of four earthquakes, including Sheyang M4.4 earthquake on October 20, 2016 in Jiangsu, Zigui M4.3 earthquake on June 16, 2017 in Hubei, Nandan M4.0 earthquake on July 15, 2017 in Guangxi, and Xichuan M4.3 earthquake on February 9, 2018 in Henan, are summarized. 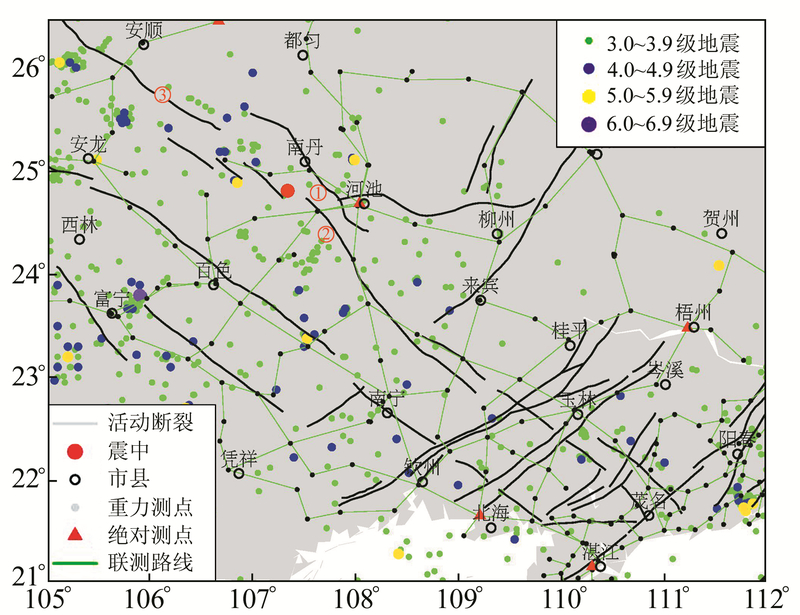 The feasibility of small earthquake monitoring by mobile gravimetry in areas of weak seismic activity background is discussed, and some corresponding advice is given.